My name is Mishka and I am a pen addict. I can talk about pens all day and I love writing with them too. What are three most important things every pen addict needs ? My pen of choice is Lamy 2000. For two reasons: iconic design and 14k nib. It looks good and it writes even better. Pen is not too heavy, feels great in hand and has a perfect balance. 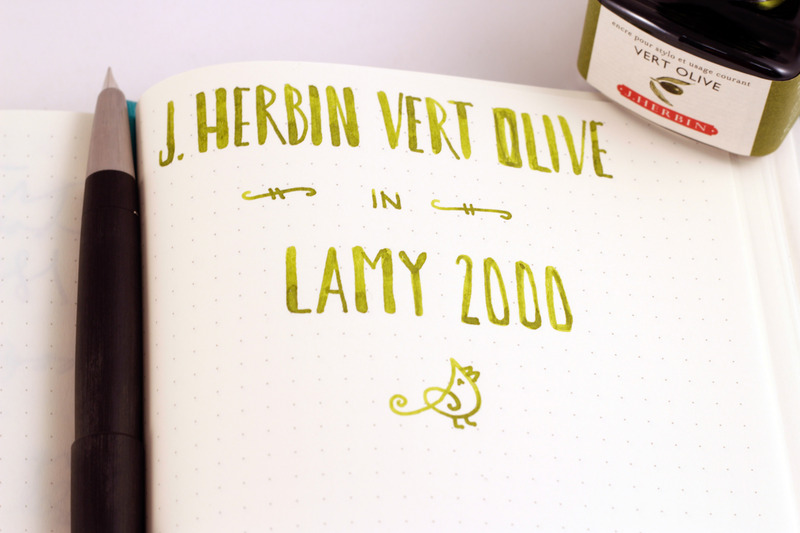 Lamy 2000 has been married to Lamy Turquoise ink since the day 1, but I have re-inked it for this special occasion. Let’s pair my #1 pen with my #1 ink. 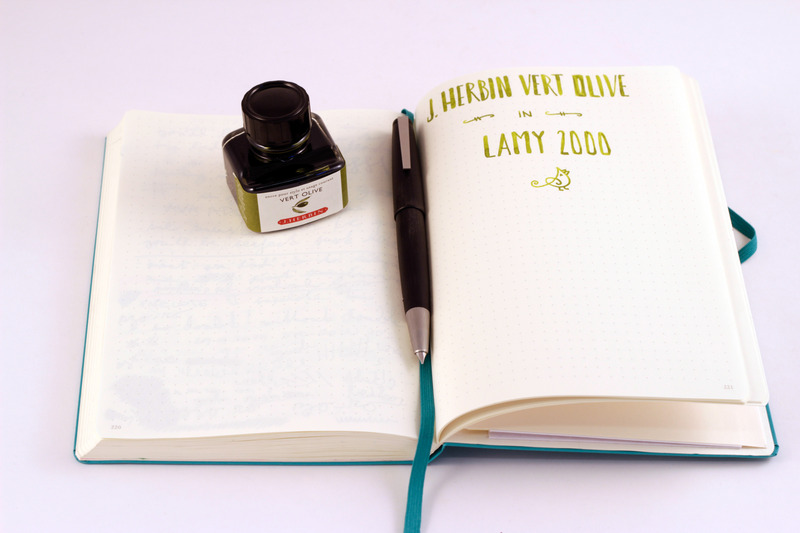 My current favourite ink is J Herbin Vert Olive. 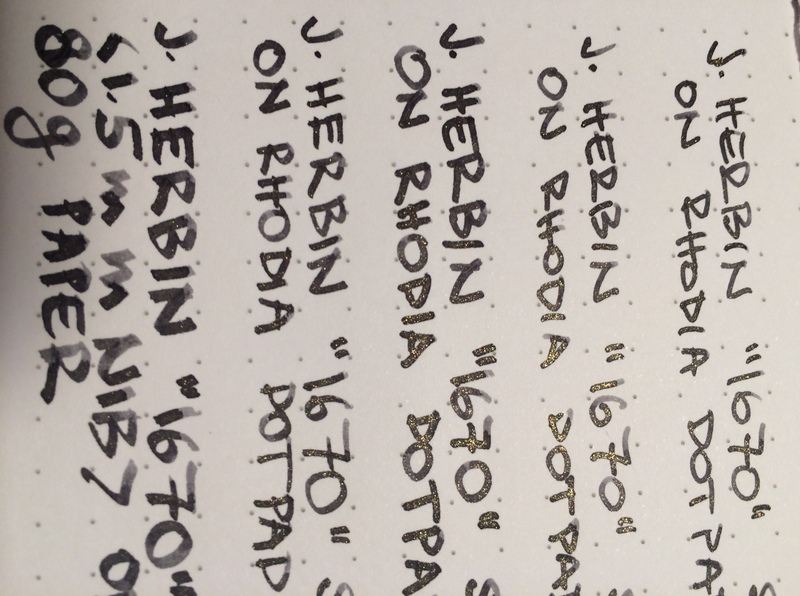 I can argue with you all day about practicality of this ink, so let me just tell you this: it shades like crazy!!! 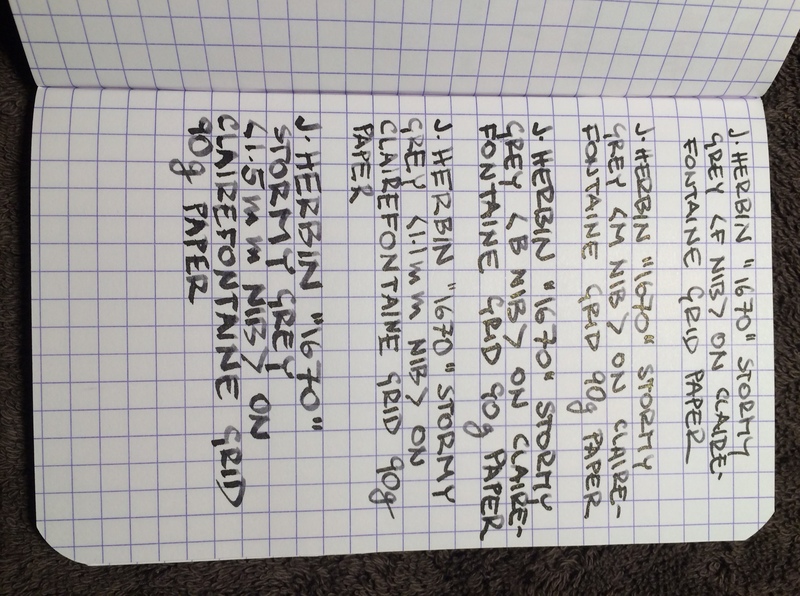 It is by far the best ink J Herbin makes and it’s so much fun! 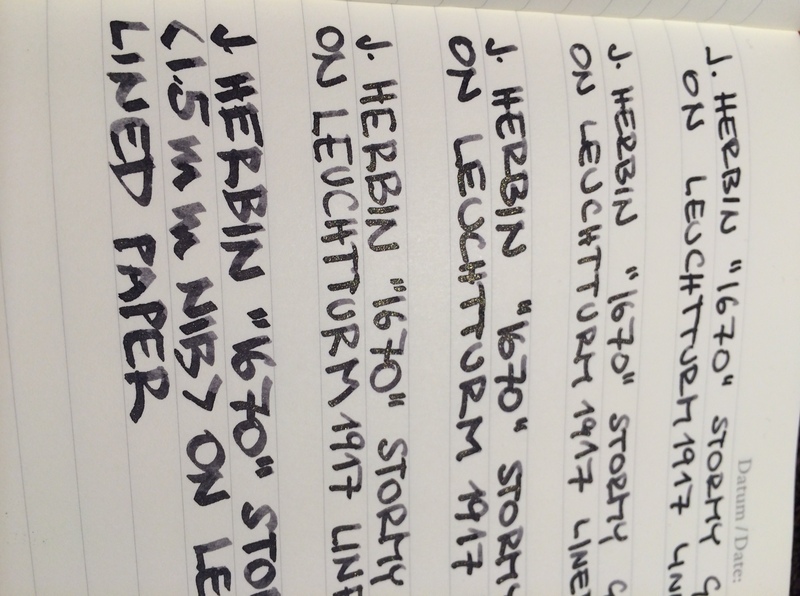 My paper of choice is Leuchtturm1917 dotted A5 notebook with teal cover. So what do you think fellow stationery lovers? 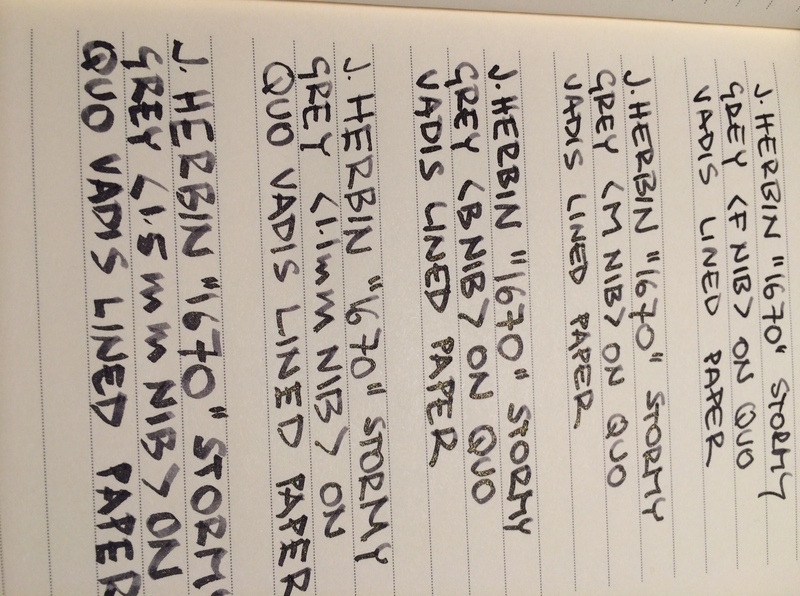 Do you have your Pen-Ink-Paper Trinity? 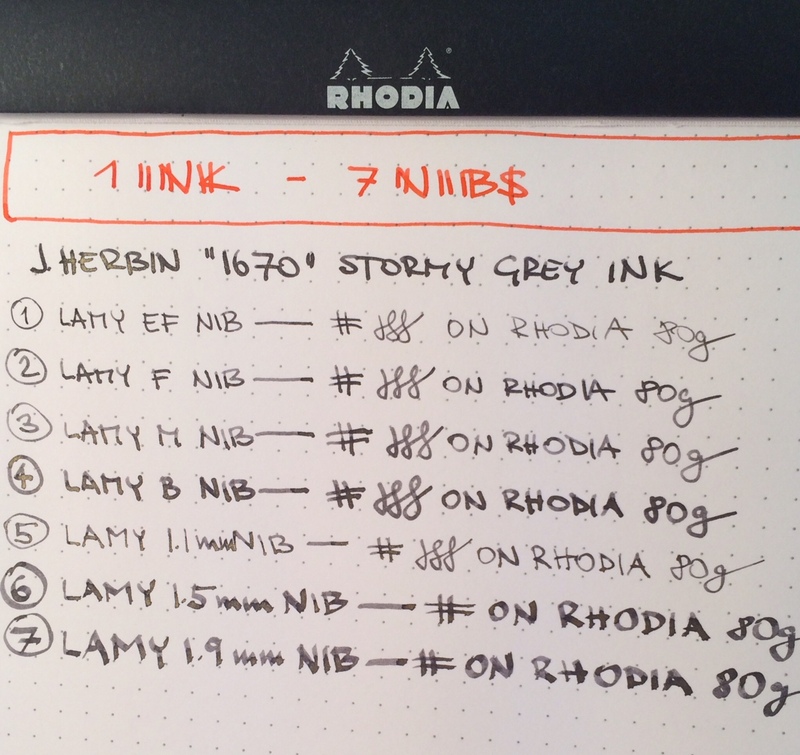 I’m off to try Platinum #3776 Century Music nib – perks of the job.